Our hospital policy is to serve you, your pet, and our community. We believe in providing high-quality care in a modern, clean environment. We value the trust you place in us and want you to feel free to ask questions in order to fully understand your pet’s health status and care. We want to help you enjoy your pet for a long time. We try to see all patients on an appointment basis. Please call in advance so we can reserve time for you. Our number is 504-456-0240. We make every effort to honor all time commitments. On occasion, emergencies can cause problems, and we will make every effort to be sure you are fully informed if there will be any delays. 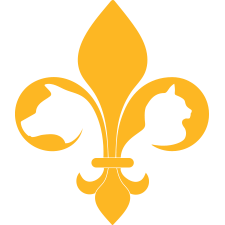 We have an obligation to you and your pet to provide progressive medical and surgical services. Out of necessity, fees will be structured to support this type of service. 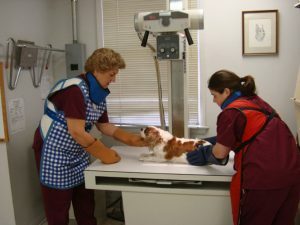 The fee structure for service at an animal hospital is based upon the demands of maintaining a professional staff and modern facilities, as well as supply and equipment costs. We have no desire to extend anyone beyond their means or intentions. If you ask us beforehand, we will gladly advise you of the anticipated cost for the care of your pet. For your convenience, we accept MasterCard, Visa, American Express, Care Credit and debit cards. A deposit is required when animals are left at the hospital. All accounts must be paid in full before an animal can be discharged. Your pet will be examined by a doctor at least twice daily, more frequently if the condition warrants it. 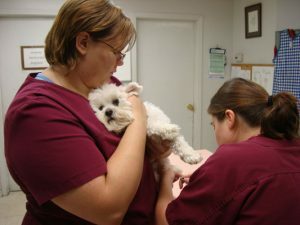 Veterinary assistants will monitor your pet’s condition throughout the day. Food will be supplied by us unless otherwise indicated. You are encouraged to call to check on your pet’s progress during regular office hours. When your pet is ready to be discharged, an appointment will be made so that the doctor can explain any medication and after-care instructions as well as answer your questions. When your pet returns home, please do not allow it to eat or drink excessively as this may bring on vomiting and diarrhea. Withhold water for at least an hour and then allow only moderate amounts of cold water at first. When your pet has settled down from the excitement of being home, you may feed as usual unless otherwise instructed. Please pay careful attention to instructions given by the doctor or assistant. If you are uncertain, feel free to telephone or email us for advice. We are as close as your telephone. Thank you for allowing us to care for your pet.